The Coggin College of Business offers many programs that are designed with your strengths and unique interests in mind. Recognized by the Princeton Review as a Best Business School for the past eleven years, our graduate degree programs in Accountancy, Business Administration, and Management will equip you with the business skills you need to succeed throughout your career. Our GlobalMBA program offered through the International Business Flagship provides the opportunity to combine your studies with an experience in four countries and four outstanding universities. Praised for its small class sizes and individual attention to students, you are a name at UNF, not a number. Professors will not only teach you, but they will coach and mentor you, too. You’ll get a hands-on education that will prepare you for a career in which you can be successful from the very first day. 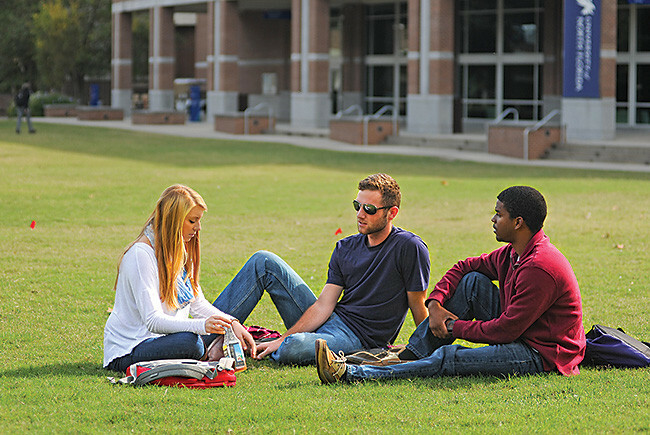 "...The University of North Florida continues to accumulate academic recognition, including a “best regional” university for the seventh consecutive year by U.S. News & World Report. Meanwhile, UNF’s Coggin College of Business has been recognized by The Princeton Review as one of the nation’s best business schools for 11 consecutive years. UNF will have an entrepreneurship center located in downtown Jacksonville as soon as 2018.